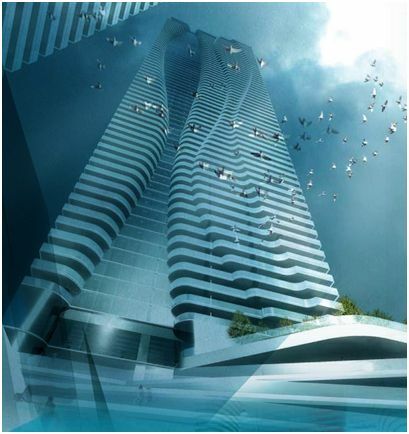 Release of additional 5 floors at One Bloor Condominiums as of June 18, 2011. Floors 60, 61 & 62 Gold Suites and floors 68 & 69 Platinum Suites. Please call me for floor plan and Price list. The Great Gulf has taken over development of the One Bloor Condos project, with a scaled-down proposal for a 65-storey, 690-suite condo with three levels of retail and two floors of amenity space. One Bloor Condos will feature direct access to both the Yonge and Bloor subway lines, and the streetscape will include widened granite sidewalks and London Plane trees, in keeping with the ongoing Bloor Street revitalization. · Interior by Cecconi Simone Inc.
· Exhaust vented to exterior. · Polished chrome accessory package including towel bar and toilet paper holder, where applicable. · Rough-in for future suite security.